Item # 318322 Stash Points: 6,995 (?) This is the number of points you get in The Zumiez Stash for purchasing this item. Stash points are redeemable for exclusive rewards only available to Zumiez Stash members. To redeem your points check out the rewards catalog on thestash.zumiez.com. 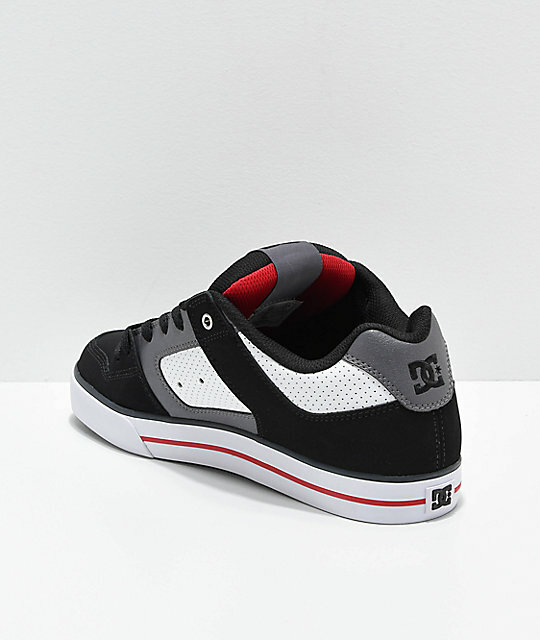 Heavily padded and reinforced with triple stitching, DC's Pure White, Black and Red Skate Shoes offer a classic DC styling in a brand new colorway. 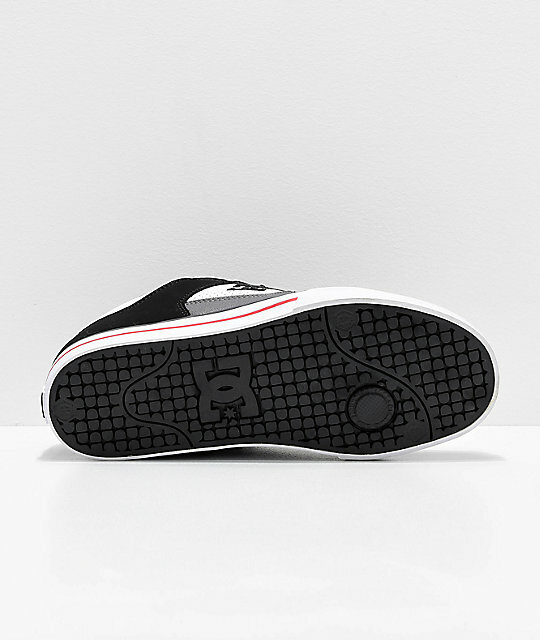 The Pure's upper consists of durable nubuck while the interior is lined with breathable mesh lining; a well rounded cupsole construction that offers wonderful skate performance. 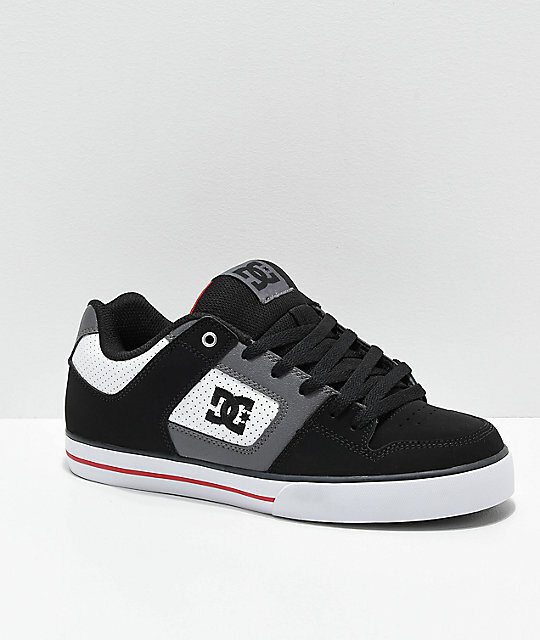 Pure White, Black and Red Skate Shoes from DC. 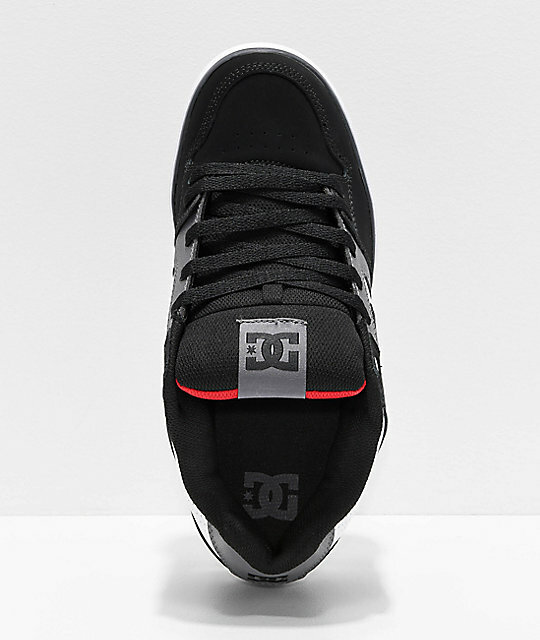 Nubuck upper with double stitching details throughout for durability.